Elizabeth A. Zatina is Of Counsel to BSP. 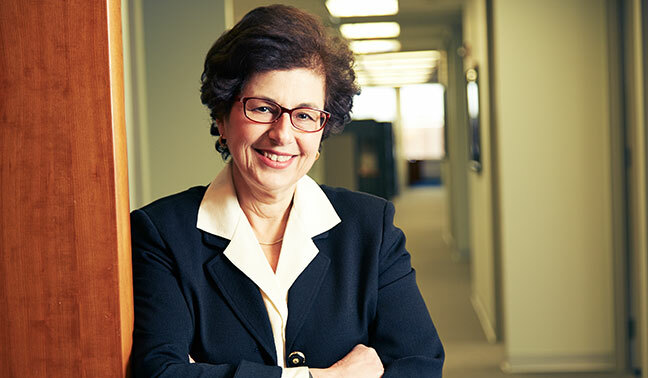 She brings over 30 years of experience and focuses her practice on product liability and automotive litigation. Counsels automotive clients on issues related to product warnings, owner manual content and compliance with relevant legal requirements. Liz gained extensive experience during her nearly 27 year career as in-house counsel at a major Detroit OEM. She focused on an array of issues including; compliance with federal and state motor vehicle laws and regulations, U.S. Safety Act, and emerging automotive technologies. Liz clerked for the Honorable Patricia J. Boyle at the U.S. District Court and Michigan Supreme Court. She also worked in the Prehearing Division of the Michigan Court of Appeals. Liz was also an Adjunct Professor at the University of Detroit Mercy teaching Legal Writing. Liz is a graduate of Wayne State University, where she earned her B.A. in Spanish. She later continued her educational career to earn her J.D. from the University of Michigan Law School.